Panzanella is a scrumptious Tuscan salad of leftover bread tossed with tomatoes and possibly onions along with cucumbers, topped with basil and finally dressed with olive oil and vinegar. I chose to make a wintry version featuring roasted brussels sprouts with wispy ribbons of spinach throughout. It’s a wonderful way to use day-old bread and create a tasty little dish. This would be lovely for lunch or as a side for fish fillets cooked with lemon slices and olives or roasted chicken with plenty of herbs. Preheat the oven to 420 degrees. 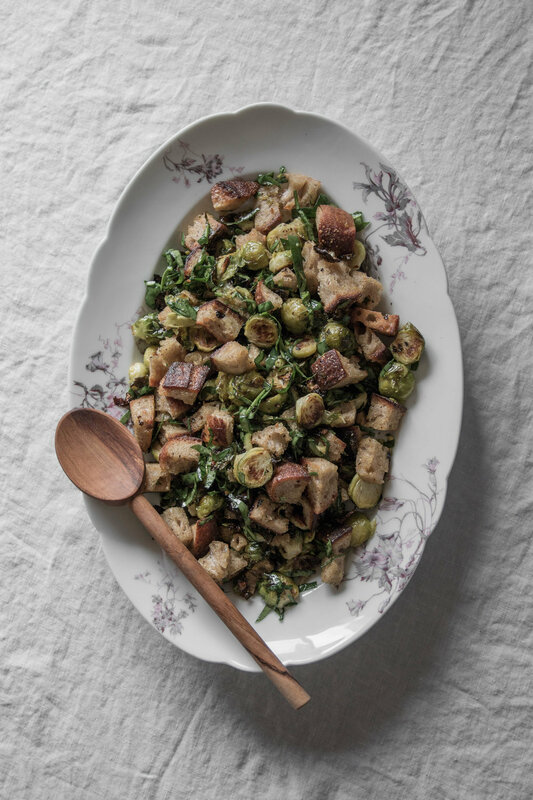 Spread out the Brussels sprouts on a baking sheet and drizzle with 2 tablespoons olive oil. Roast for twenty minutes. Heat 2 tablespoons of the olive oil in a large skillet and add the garlic, then add the bread. Stir to coat and allow the bread to toast in the oil for about five minutes or until crunchy. 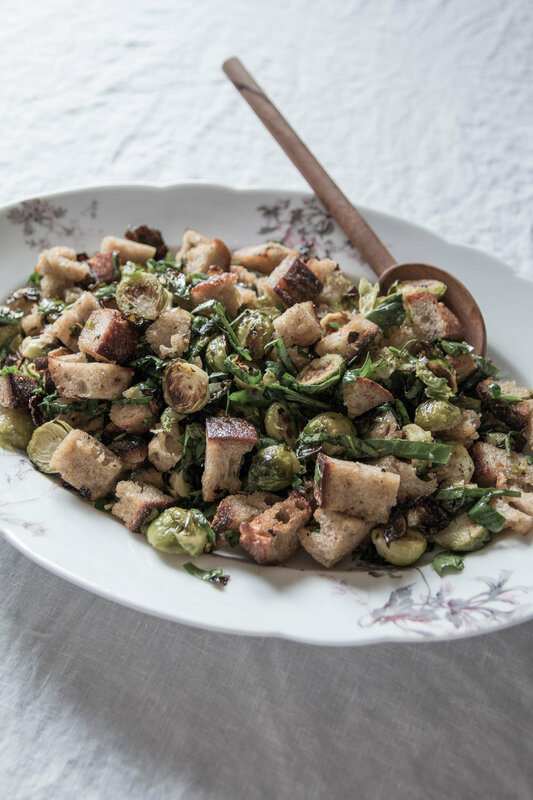 Combine the cooked Brussels sprouts and toasted bread in a large bowl. Whisk together the dressing: first the mustard and vinegar, then slowly drizzle in the olive oil while quickly whisking. Add the salt, lemon zest, and pepper then dress the salad - you may have a bit of dressing left over, depending on your preference. Add more salt and pepper to taste. Serve at room temperature. A fried egg makes many things even better. This salad of kale and celery dressed with a simple vinaigrette and a quick dusting of parmesan becomes more substantial, not to mention substantially more delicious, with a fried egg on top. Cook the egg (or two, if you'd like) to your liking; this recipe features one sunny side up with crispy edges, topped with a good crack of black pepper and a dash of smoked paprika. I've named this a breakfast salad because one usually has eggs in the morning, but admittedly I most often make this for a late lunch or even dinner. A fried egg is a quick way to add protein and bulk up a simple salad, and when served with crusty bread to dip in a broken yolk and munch on, I wouldn't mind having this well past morning. You can omit the celery if that's not a vegetable you prefer, and add in anything else you might have on hand; a few cherry tomatoes sliced in half would be lovely. I recommend serving with toasted sourdough smeared with a bit of salted butter. About 1 tablespoon olive oil or more, for drizzling over the kale and for frying the eggs. 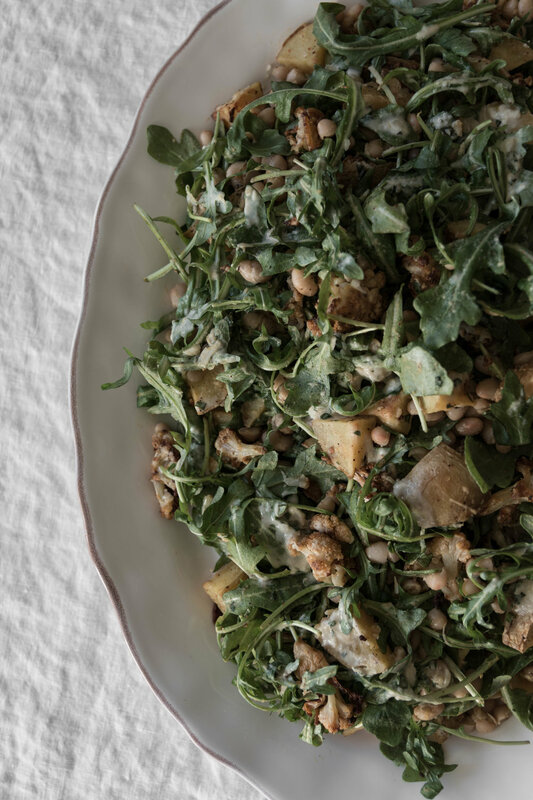 Place the kale in a mixing bowl and drizzle a bit of olive oil over the leaves, tossing with your hands to coat. Begin massaging the kale, rubbing the leaves for about a minute to two minutes or until the kale is glossy and dark in color. This helps the kale to soften and become more palatable. Thinly slice the celery and toss into the bowl. 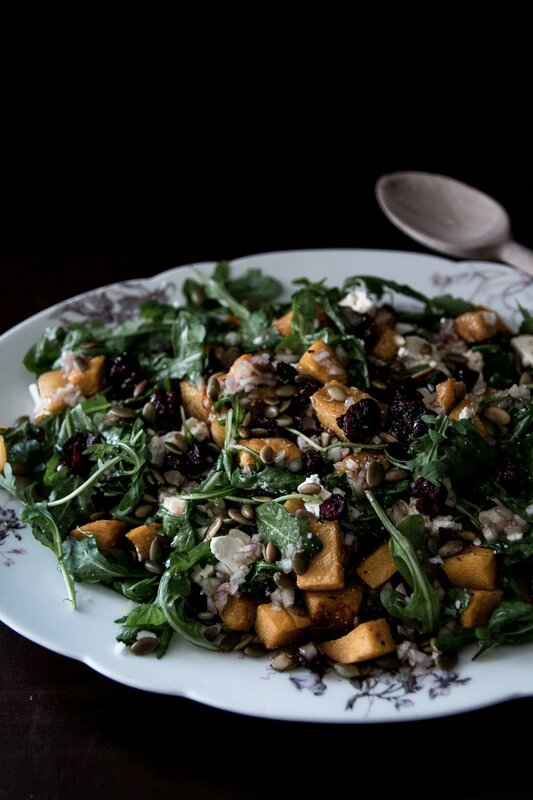 To make the dressing, combine the honey and mustard in a small bowl, then stir in the balsamic vinegar. Slowly drizzle the tablespoon of olive oil into the bowl while quickly whisking until the dressing is emulsified. Pour into the bowl of kale and celery and toss to coat. Adding a bit of olive oil to a hot pan, fry the eggs to your liking. Shower the tops with plenty of salt, fresh cracked pepper, and a dash of smoked paprika as they cook. Place the dressed kale and celery on a plate, shower with grated parmesan, and top with a fresh fried egg. Serve with crusty bread.